Shridevi Institute of Physiotherapy is located on the outskirts of Tumkur city, on Bangalore – Pune National Highway No 4. The city is having pleasant climate, eco-friendly environment and fascinating blend of urban sophistication and rustic delight about 70 KMs from “The Silicon Valley of India” Bangalore city, Tumkur is well connected by Road ways and railways. The institution campus is spread over 60 acres of area far from the maddening crowds and traffic snarls with lush green lawns. 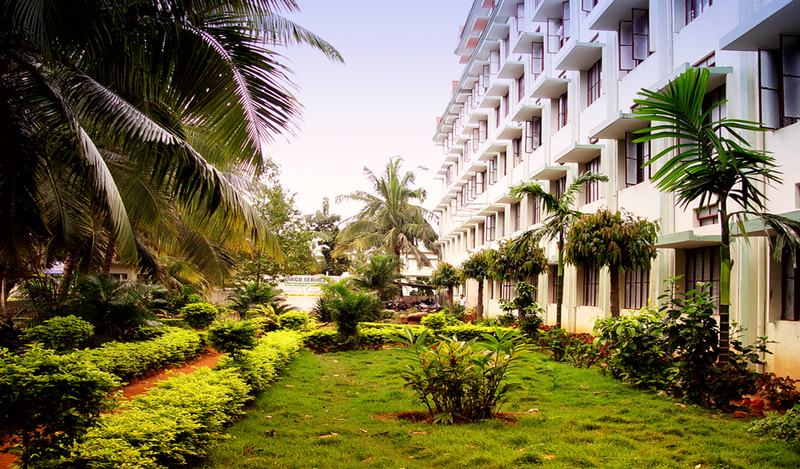 The institution is housed in well laid buildings such as Administrative; Academic blocks with wide corridors, spacious and well lit lecture halls with the furniture opt for comfortable sitting. The institute has the best equipped laboratories, workshops, separate hostels for boys and girls with sports facilities, canteen, etc,.